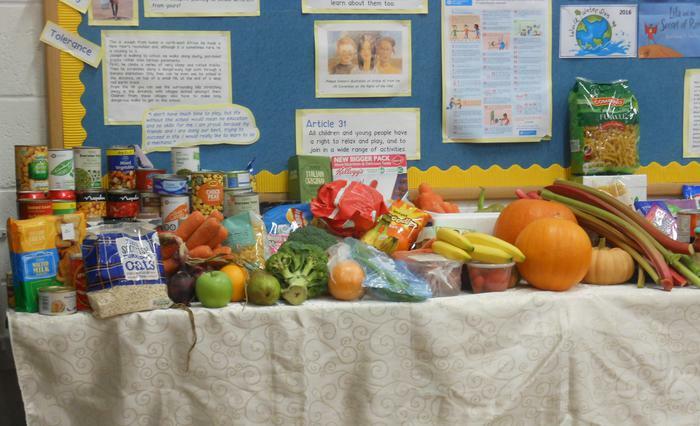 All children follow a course of Religious Education as set out in the school's R.E. Curriculum Map. 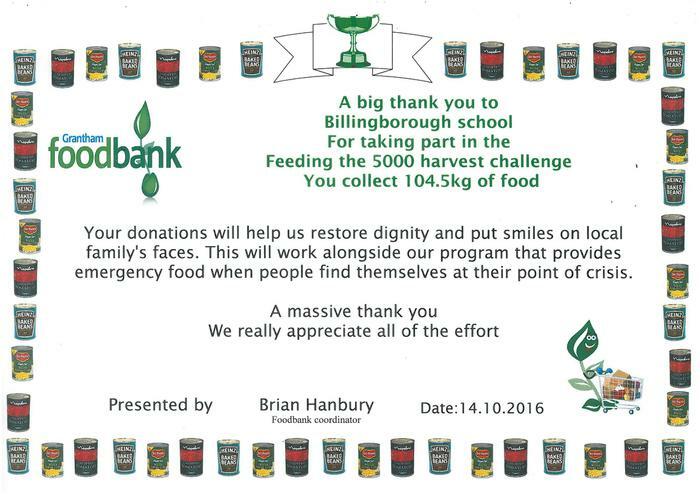 This is based on Lincolnshire county guidelines and is broadly Christian in nature. 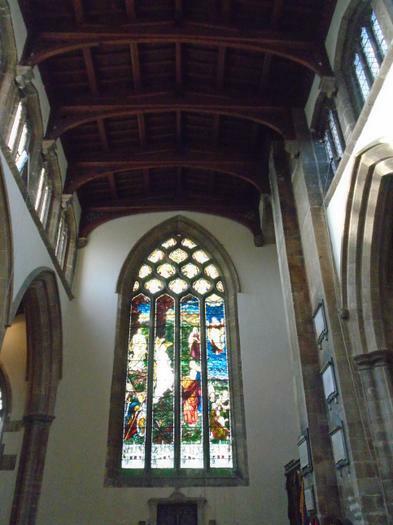 The new scheme is designed to encourage balanced and informed conversations about religion and belief. A four year cycle for Years 3 and 4 (Lower Key Stage 2) and Years 5 and 6 ( Upper Key Stage 2). See the pdf links to the curriculum maps at the end of this page. We may not necessarily teach the objectives in the exact order on the map as there may be times when adjustments to the sequence make learning more topical or link in to other projects. 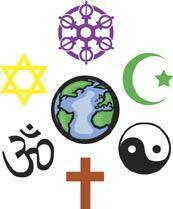 Religious Education offers a positive moral view of the world and the child's place in it. We encourage tolerance of all beliefs and views. We learn about other religion and explore human religious experiences and we learn from religion and respond to our and other’s experiences. Children are involved in a daily act of collective worship as required by the Education Act of 1988/93. Assemblies are broadly Christian in nature but we recognise and celebrate religious beliefs and festivals of other cultures. They provide a time in the school day for the reflection on something special or separate from ordinary school activities, although through this we may link such thoughts with day to day life and the aspirations of the school. Collective Worship may be led by Mrs Coyle Head Teacher, members of the teaching staff, special visitors or children themselves. Reverend Neil Knox from Billingborough Parish of St Andrew also supports us and leads RE lessons or worship in school or in Church. 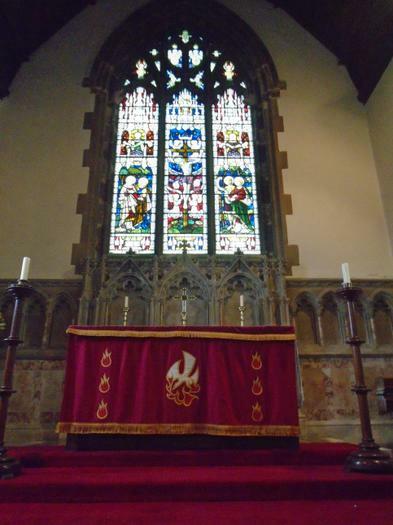 We also hold a Remembrance, Christmas and summer service in Church. As a parent or guardian you have a legal right to withdraw your child from collective worship, Religious Education, or both. Parents considering exercising this right or those who have any questions in this respect are asked to discuss this with the Head Teacher. 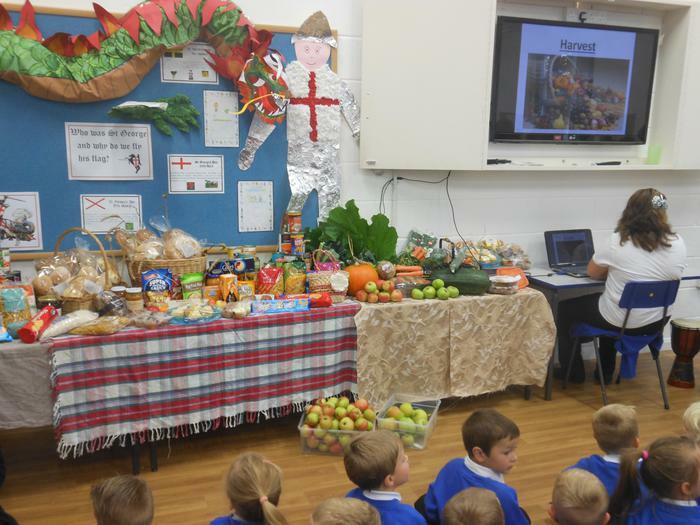 Each year, we welcome our families to join us for our Harvest Festival. 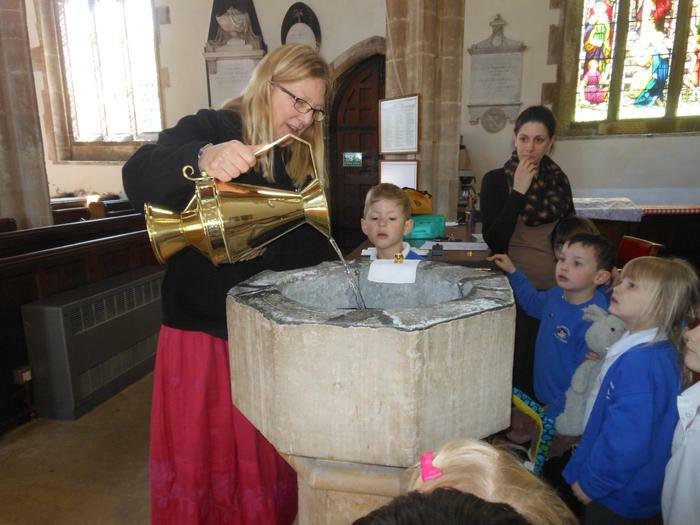 to take part in a role play Christening service with Rev Anna. 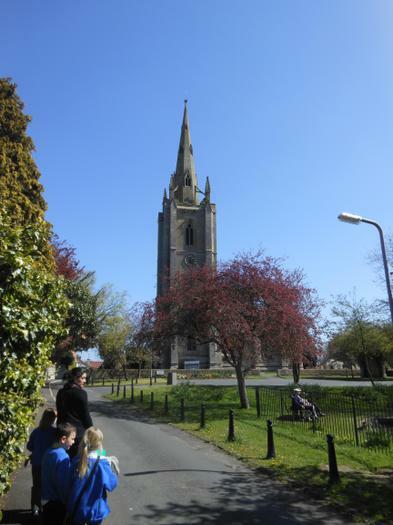 We work closely with Reverend Neil and St Andrew's Church, Billingborough, to help us better understand the role of the Church in our community. We have also visited Peterborough Cathedral and Mosque, to help develop our understanding of diversity in religion and culture. 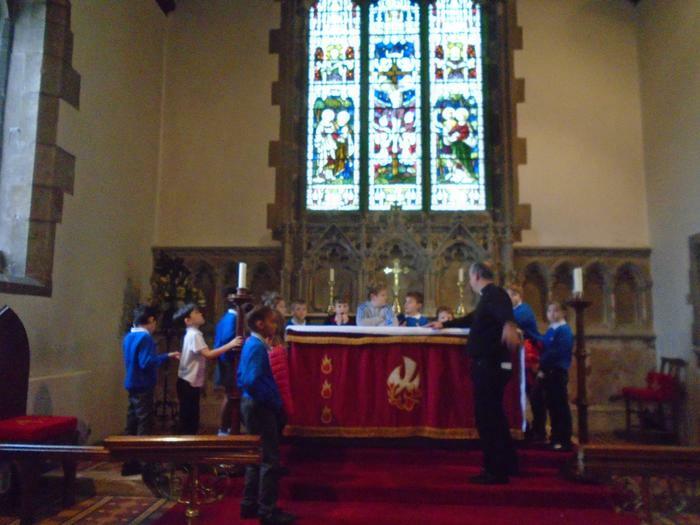 Learning about faith in the community on one of our visits to St Andrew's Church, Billingborough.